This approximately 75 x 110 arcmin. field is centered at RA: 2h 53 min. and DE: +69° 28min. (Constellation Cassiopea). The brightest blue star at middle bottom is the mag 6.2 eclipsing variable star RZ Cass., which illuminates the faint reflection nebula VdB 7. At the left is the reflection nebula VdB 9, illuminated by the star HD 17462 (5.8 mag).Below VdB 9 is situated the Lynd's bright nebula 643 (LBN 643). 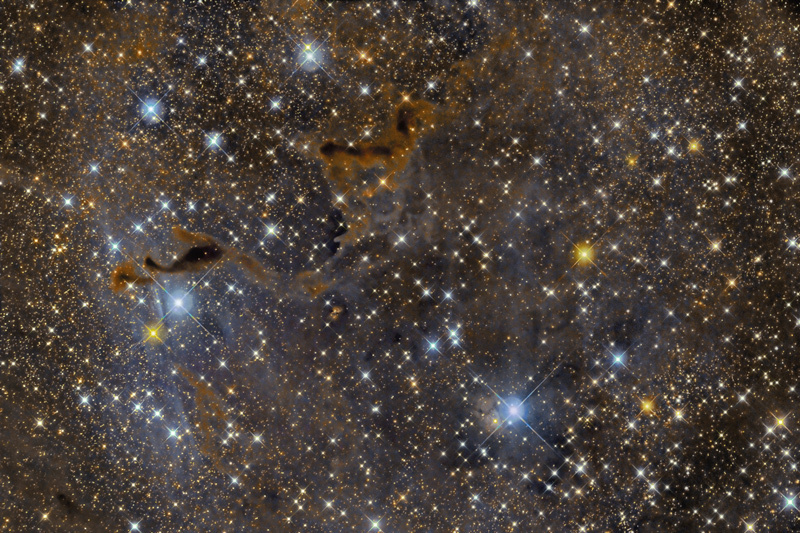 The three dark nebulae are (from left to right): LDN 1357, LDN 1355 and LDN 1358. North is left.